CBSI Services | FOCUSED. DRIVEN. DONE. Before you’ll even enjoy the changing colors of fall, the Holiday Shopping Season will be operating in full swing. While retailers prepare for the sales rush, you and your financial institution should be considering one thing: how to establish your transaction account at the top of consumers Holiday Shopping list! At cbsi, our focus is transaction account benefits and how those benefits translate into loyalty and usage for you with your customers. We have experienced first-hand the impact the Holiday Shopping Season can have on companies like yours. We know that proper planning and effective communication – sooner than later – will go a long way towards creating a satisfied customer base that uses your institution’s payment platform to shop during the Holiday Shopping Season. Creative agencies may position the offer incorrectly. IT groups may not have the ability to load all the necessary terms and conditions into your mobile platform; third-party vendors may miss promised deadlines effecting customer expectations. The direct marketing agency may deliver email, direct mail or other communications without anyone knowing of the drop date or expected received date. The social media team may be fielding messages and never tell the customer service center. The result is poor ROI, frustrated organizations and unhappy customers. Your ability to make sure all these groups are in sync – especially during the Holiday Shopping Season – is critical if you want customers to think of you and your company first. cbsi wants your transaction account to be used first when your customers begin to spend this Holiday Shopping Season. To do so, you will need to consider some simple, but important management tactics when preparing for increased customer engagement. It’s common – and probably very likely – that your financial institution will provide incentives or other marketing ideas designed around using a specific transaction account for purchases such as insurance or free shipping. Such tactics are especially important given the announcement of Apple Pay. New technology payment mediums or shopping aggregators can be attractive news to encourage customers to use your payment platform for their transactions. Will your promotion be delivered on time? Do your initiatives compete with other activities within the organization? Can your ROI be measured effectively? Is your concept a “me-too” offer to copy your competition or are you creating something truly unique? You will need to have answers to these questions and more as you start to plan for the Holiday Shopping Season. The least attractive of all topics, compliance, is probably the one area that can most negatively affect your Holiday Shopping Season efforts. With the CFPB, OCC expectations and other regulatory agencies keeping a watchful eye on you and your marketing efforts, being IN compliance is certainly smarter than being OUT of compliance. 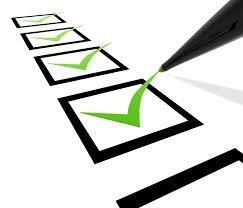 You should have all process and procedure documentation evaluated, tested and evidenced at least annually. Any promotion or campaign should be fully vetted with your compliance and legal teams early on and these groups should be part of regular stakeholder updates. Falling short in this category can negate great marketing efforts and a superior customer service experience. Predicting future capacity requires considerable effort. An article in the Wall Street Journal demonstrated nearly every industry connected to last year’s Holiday Shopping Season was essentially unprepared for the increase in online purchases, last-second activity and customer service requests. Furthermore the article stated a spike in last-minute shopping activity overwhelmed the United Parcel Service (UPS) system. “The volume of air packages in the UPS system did exceed capacity as demand was much greater than our forecast,” a UPS spokeswoman said. (“Late Surge in Web Buying Blindsides UPS, Retailers” Wall Street Journal, 12/25/2013). So while planning for call, email or chat volume, possibly a combination of all, incorporate a slack variable against unforeseen growth from actual activity of last year. Be sure that when you create your promotion, all related groups – call contact centers, IT departments, compliance, legal and others – are well aware of every detail regarding the campaign. From our experience, communication of programs, marketing efforts and other important customer-based information is often not shared amongst all ‘need to know’ stakeholders. A significant portion of our client support entails creating, managing and evaluating communication channels within organizations and with 3rd party vendors ensuring that every customer touch point is aware of the marketing initiative, tracking to a timeline and reporting on the results. Thinking about the Holiday Shopping Season may not be top of your list; however we at cbsi know from a strategy implementation view, the season was yesterday. Given the new offers from Apple Pay, Twitter ‘Buy Now’ button, the expected increase in mobile transactions and the obvious need for your organization to benefit from all this market flux, you will need highly organized plan including stakeholder responsibilities, timelines, checkpoints and most importantly an internal communication strategy that Connects the Dots! To learn more about how cbsi can help ensure your Holiday Shopping Season promotion is executed flawlessly or how we could provide a benefit or service to help place your transaction account platform to the front of your customer’s wallet or Apple device reach out to us at info@cbsiservices.com. We have several subject matter experts that provide interesting, relevant and timely information via social media as well. So follow us at @cbsiservices. And remember now is the time to Connect the Dots! More than 30 years ago, many people were loyal Sears customers. Sears Auto, Craftsman, Kenmore and other well-known brands of a generation were common in many homes across the country. Almost every Baby Boomer remembers that the annual Sears Holiday Wish Book Catalog was the modern day equivalent to an Amazon Wishlist. To capitalize on this loyalty, Sears offered a store credit card – one not sponsored or supported by any payment processor platform like Visa or MasterCard. Rather, this card allowed shoppers to purchase those famous Sears washers and dryers with a credit card essentially managed by Sears, so that Sears could also benefit from the interest ratesand continually interface directly with the customer. For the longest time, into the 1980s, Sears only allowed credit card transactions from its own store card, shunning the bank cards utilizing alternative processing platforms.. Eventually, Sears acquiesced and conceded its card business to the larger banks. Consumer demand forced Sears and other retailers to effectively abandon their store-based credit, in favor of traditional credit cards or co-branded bank cards. The store cards, among all retailers drifted toward a loyalty card, one used for simply collecting rewards, or in some cases morphed into retailer gift cards. Clearly, offering credit transactions shifted to the banks, with understandable reason: the banks already had the infrastructure. But with the ubiquitous nature of mobile devices, perhaps that balance of transaction purchase power and credit management may be shifting back toward the retailers. Carrying multiple cards such as bank cards, loyalty cards, and gift cards in a wallet or purse is cumbersome. But with mobile phones and subsequently mobile apps, more people carry apps related to specific merchants. Certainly app aggregators help people coordinate their gift card apps, but realistically, it’s no big deal to carry multiple retailer “card” app. So how is this related to mobile payments and retailers? The retailers could use their store-based apps for transactions. The Starbucks app, which gets more deserved attention in the mobile wallet space than any other concept, succeeds exactly because its transaction mechanism is embedded within the overall consumer relationship. Their app, which locates Starbucks stores, pays for your latte and offers freebies like free music and app downloads, makes it a destination worth revisiting. In essence, the Starbucks payment mechanism is nothing more than a reloadable gift card with limits on spending. But retailers are not far away from regaining some of the transaction power similar to that of Starbucks. In two recent articles from Reuters and CNET.com, respectively, retailers are beginning to make the mobile wallet transaction push. Loyal customers already use store apps to search for products, subscribe to promotions and receive rewards. “We view merchants as overall beneficiaries of the trend toward mobile payments,” said Morgan Stanley, which estimated retailers in developed countries spend up to $150 billion in 2012 to accept card payments. (Reuters, April 6, 2014, “Retailers Push into Crowded Mobile Payment Market”). Australian retailer, Coles recently launched its mobile wallet for contactless payments. “Our trials revealed that 77% of Coles MasterCard customers found the Coles Pay Tag more convenient than using traditional cards,” said Coles general manager of financial services, Richard Wormaid. (CNET.com, July 15, 2014, “Coles launches Mobile Wallet for contactless payments.”). Certainly, infrastructure challenges for retailers will not completely shift the balance of transaction power any time soon. Banks and their payment platforms do provide a valuable resource and network that allow the retailers to focus on delivering the highest quality products and services. Given the recent credit card security issue that affected Target retailers, diving into the transaction management space for retailers is both a security risk and a project for future consideration. However, not too long ago, retailers like Sears combined product loyalty with transactions in the form of store cards. With mobile technology continually easing the ability to transact anywhere, and retailers creating loyalty through mobile apps, the blending of transactions and retailer affinity is certainly a topic that should be on the business development agendas of banks and retailers alike. My neighbor was on an extended business trip to China. There to work with some clients and, when possible, enjoy some tourist attractions, he suddenly found himself feeling out of sorts. After 24 hours with no improvement and his stomach churning as though on a never-ending roller coaster, he checked himself in to a Beijing hospital. Fortunately, nothing more than food poising slowed him down. However, the experience gave him pause to consider all the right decisions he made in preparation for his trip. When booking his air travel, hotels and other necessities, he used his credit cards that provided Travel Emergency Assistance Services. He did this, in part, because of our conversations regarding my line of work in this industry. Had we not spoken of credit card benefits, he said to me, he may not have been quite as lucky. Getting sick while traveling can happen to anyone at anytime. Changes in diet, climate and jet lag can all contribute to an untimely illness. Forced into an Emergency Room is difficult even in America. But in a foreign country language differences and treatment norms will add to the challenge. That’s why knowing how to properly plan for disasters – as mild or severe as they can be – is critical. Your credit card may just be the best solution to keep you safe when everything around you doesn’t feel that way. As a Vice President at cbsi with more than 25 years in the card benefits industry, ensuring that both financial institutions and consumers are aware of these relationship benefits is all I do. These services, often accessed easily worldwide via phone, immediately help you through an illness, accident, or even crime when traveling. Typically the ground rule is that service can be provided when the client is at least 100 miles from home. Case Managers will assist you through the entire crisis providing language translation if necessary, support for immediate needs and assurances that you are able to return home or continue your trip. Having experienced first-hand the benefit of Travel and Emergency Assistance – I had a briefcase stolen while traveling in Barcelona – a Case Manager helped me recover lost passport, credit cards, traveler’s checks and airline tickets. Be sure to check with your credit card issuer to determine what type of travel benefits you have available to you. Remember, nothing ruins a long-awaited trip faster than an unexpected emergency. Be prepared for anything by using the correct credit card when you travel. While the warm weather brings a welcome break from an unusually hard winter, it also reminds us of the home improvement items that have collected dust while we hibernated. So whether you are updating a few old items in your home or beginning a complete makeover of your backyard, the credit card in your wallet can be as much help to your home improvement efforts as a trusted contractor. Your credit card is more than a piece of plastic or a way to defer payments to some inevitable future date. In many cases, it contains several tools that can make everyday shopping better, especially when shopping to improve your home whether inside or out. These credit card tools, commonly referred to as benefits, come at no cost to you and are designed to provide you with ways to protect and manage your purchases. Every card is unique and every card has different benefits, depending upon what your bank provides. So contact you card provider – the phone number is typically on the back of the card – to learn exactly which benefits you have available. Many cards contain similar benefits or services but have different naming conventions. When you contact your card provider, keep this in mind. How often have you purchased something – let’s say a microwave for your newly remodeled kitchen – only to find it at a lower cost a few days later. Wouldn’t we all benefit from a coverage that provided us with the price difference? Some credit cards offer this type of benefit, known frequently as Price Protection. Simply, if you use your credit card to purchase an item and later you discover that item at a lower price, the coverage may refund you the difference. In many cases, Price Protection does not apply to online auction sites. Again, check with your card provider for specific terms and conditions. How often have you bought something for your home, such as a new BBQ grill or lawn mower, and the sales associate asked if you wanted the extended warranty? Buying these additional warranties at point-of-purchase may not be the best plan since most credit cards provide such services automatically (read U.S. NEWS ARTICLE). In many cases items that are hard-wired or hard-plumed into your home are not covered under the benefit. Be sure to determine the Terms and Conditions associated with your card as they relate to Extended Warranties. We have all purchased something that contains that silly Registration Card that often falls to the floor as we open the box of our new item. And if it hits the floor it likely becomes forgotten material. Did you know your credit card might provide you with Registration Services? Why is this important in your Home Improvement project? Simple: Registering your new purchase – such as a computer for the home office you just built – affords you several types of protection services should something go wrong with the item. You can simply apply the Extended Warranty Benefit (above) as the original receipt will be on file. And know that something may go wrong as we talked about in last month’s blog (Staking Your Claim: Benefits Guide to Faster Recovery). How would you like a personal assistant to help you find the best price on a new shower head for your bathroom? Or how about being able to pick up the phone and ask your trusted aide to find a store near you that has the largest selection of arbor vitae for your new backyard remodel? With the Concierge Service, you have a personal assistant waiting to help you with just about any home improvement item you may need. And after you’ve finished planting those new arbor vitae, you can use the Concierge Service to book you some time at a local masseuse. Be sure to work with your card provider to help you understand all types of protection benefits associated with using your card whether you are disputing transactions, searching for the best price, looking to file a claim or any number of items related to home improvement activities. 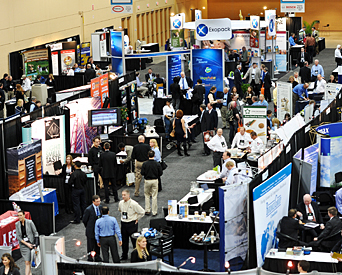 The Card Forum and Expo took place in Orlando Florida on April 22-25, 2014 bringing together the key players in the payments industry. The discussions ranged from market trends, such as the under banked and prepaid space to more serious topics like the impact the CFPB has had on Issuers and consumers. While the conference provided an excellent networking opportunity and learning experience, I was also able to maintain a video diary throughout the conference that touches on the high points for those that could not attend. The first day of the conference honored Women in the Payment Industry. Some interesting topics on day one were the balancing act many women feel pressured to achieve between family life and their career path, encouraging women to advance their careers and teaching women the “elevator speech”. Yolande Piazza discussed how some women tend to say too much, choosing meaningful words and focusing on the “pitch” helps women get further. An interesting concept during the panel was how mobile wallets have a tougher sell for women vs. men. I had never considered this, but Margaret Weinchert explained that women don’t mind carrying a wallet as much as men because we almost always have a bag on our side. We even enjoy showing off these designer fashions and consider them part of our wardrobe. Eventually mobile phone will replace plastic but retailers and credit card companies need to find incentives for women to make the switch. The Healthcare Industry and underbanked represent a large opportunity in the Prepaid space. Many companies are offsetting the high costs of healthcare deductibles by using prepaid cards. Prepaid will continue to expand overtime and although we think of a “prepaid card” as plastic, in the near future this form of payment will most likely reside in a mobile wallet. The last day of the conference focused on the CFPB. The CFPB regulations and unprecedented fines are certainly concerning to financial institutions. The overarching theme is to treat customer fairly. Financial institutions today have to balance government regulations and customer service. According to Jo Ann Barefoot, CEO of Barefoot Group, the focus of the CFPB is simplicity and transparency from a marketing perspective and being fair to your customers from a services perspective. As many people in the financial industry have witnessed we need to document all processes and procedures. This is often a daunting, but very necessary task. The CFPB wants to see and understand processes and procedures. Having a defined escalation process will also alleviate pressure from the CFPB, however it was explained the expectations from banks will continue to expand and evolve. The only clear point the “members” of the CFPB made was that anything that is considered complicated or diffi cult from a customer perspective is a huge risk. Any deceptive phone sales will also be put under the microscope immediately. If you would like to learn more about the Card Forum and Expo please also read my tweets during the conference. This will give you a good play-by-play of the event. Not many people jump for joy when their new refrigerator breaks or when their rental car finds itself with a few surprise dents in the parking lot. And probably fewer dream of the day their luggage disappears while traveling. But, sometimes bad things just happen. Oddly, your credit card can be the source of some salvation. Through products like Purchase Protection, Rental Car Coverage and Lost Luggage, some of these losses can be recovered. Starting this dialogue by discussing the claims process is a bit like placing the proverbial cart ahead of the horse. Be sure to make good, smart choices when you purchase products, services or other items using your credit card. Most important: know and understand the benefits your issuing bank provides on your credit card. All banks provide a “Guide to Benefits: Terms and Conditions” document that often finds itself tucked away in filing cabinets or tossed in the garbage can. The fine print is often too small to read and too cumbersome to appreciate. If this is the case for you, simply call your bank and ask them to explain the benefits details. Now that you are aware of the benefits that your issuing bank provides, be sure to use that card for purchases you know to be covered. Remember, reading the fine print and discussing the details with the Customer Service department BEFORE you purchase a product will make any claim process easier to manage. Once you’ve made your purchase with a covered card that you know will protect you for any potential loss (damage to a rental car, tablet breaking, etc. ), be sure to save your receipt. Most benefits require a physical receipt verifying your purchase. However, more companies are beginning to accept digital receipts so … taking a photo of your receipt may be an option if you tend to be the type of person that loses paper receipts easily. Be certain that your bank will accept a digital receipt should you need to file a claim. Unfortunately, things break, accidents occur and… bad things happen despite our best efforts. Now you’ll need to file a claim with your issuing bank. The best course of action? Call your card-issuing bank. You will likely be directed to a website where an online or downloadable claim form exists. If you are unable to use these online tools, a customer representative should be able to assist with a different solution, such filing your claim through standard mail. Claims processors and insurance benefit administrators actually work as quickly as possible to finalize any claims. Provided you have followed the steps above, your claim process should move quickly. In fact, some card issuing banks provide an online claim status tracking tool so that you can review the claim process as it occurs. In most cases you can also call Customer Service and determine the time frames required for your claim to be processed. Sometimes, even though you have all the information available, you have saved receipts and have had conversations with a Customer Service representative, your claim may be rejected for specific reasons. In those cases, you can ask for a complete explanation of the denial. That’s the bad news, although at least you will know what to expect for future reference. On the Good side of the fence, many claims – if processed correctly with receipts and clear information included – result in reimbursement to the levels of the benefit policy. Attending conferences can be both exciting and stressful at the same time. It all depends on the type of conference you attend, the participants and speakers, the workload that will greet you when you return to the daily grind and, most importantly, how prepared you are. I have been fortunate enough to attend numerous conferences over the past few years. Some of these conferences are huge and hosted at conferences centers like the Javits Center in NYC, while others are more intimate gatherings at a suburban conference center. I have learned that the key to making the most out of any conference is being overly prepared. Attending a conference is the easy part, it’s th e work that you must do prior and post the event that pays the most dividends. -Create either a digital or hard copy file that includes your registration confirmation, notes, directions, etc. -Determine how the conference will benefit you/your company and decide what you want to take away from the conference. Jot this down for future use! -Review the conference website details for booths, key note speakers and other important information. -Let people know you are attending a conference through social media. Send out a tweet, post a link to the conference on LinkedIn and tell your Facebook friends. You may also be able to follow the conference Twitter handle, which will provide up-to-date information. I have yet to attend a conference that doesn’t host a website or have a twitter handle. The days leading up to any conference are crucial. In today’s day and age, there is no excuse for being unprepared. The first step you should take is determining which conference sessions to attend. Then make a list of contacts that should be engaged during the conference. These notes should be added to the conference folder. Now for the simple steps that everyone forgets…..grab a large stack of business cards, charge your cell phone and tablet (& don’t forget to PACK your charger), bring a notepad and wear comfortabl e shoes! On the conference day, have most of your day mapped out surrounding the speaking engagements and networking events. Remember to engage others at the conference. Focus on the reason for attending the conference and use Social Media as much as possible! I have met and stayed connected with many people from conferences via Social Media. The days following the conference are a time to reflect, review notes and formally connect with those you engaged with during the conference. LinkedIn, Twitter and good old fashion emails or phone calls are a great starting point. The notes that were jotted down prior to the conference should also be reviewed to assess whether your objectives were met. Although not every conference will meet your expectations, there is always something you can glean away that will ’pay it forward’ in your daily operations, industry relationships and future opportunities. Now get out there and NETWORK!